In today’s real estate market, buyers are more discerning and real estate agents are always looking for properties that can potentially be sold for a lot of money. Agents look at houses that have functional and beautiful designs because this is what their customers want. If you are in the market to sell your house or if you just want to be prepared for the future just in case you want to sell in a few years, a great way to add value to your home is by adding lean to sheds. ​Lean to sheds are small additions to your home that are less expensive than creating another room. As its name implies, lean to sheds “lean” on one side of the house to hold it up. These kinds of sheds are usually made of lightweight materials such as aluminum or wooden roof held up by some wood or cement posts. Lean to sheds are often used for storage and putting away things you don’t need in the immediate future like Christmas tree decorations and the like. ​Some people prefer to make a big enough lean to shed to make it a sitting room or a small al fresco dining area. They cover the sides with protective netting so that they can have their tea and biscuits there. To make your lean to shed more elegant, you can try putting shingles on top of the shed. ​A couple of galvanized ¾ inch nails to hold all the shingles on the roof. ** when choosing shingles, its best to match it with the rest of the shingles on your roof for a more uniform look throughout. ​Make sure to wear safety equipment at all times. If you plan on doing it yourself or asking someone else to do it for you, make sure that you or the person in charge of it will be amply covered. Along the eave edges, you can install the eave drip edge. If your eave drip can be colored using paint, it’s a great idea to match the color or style with the same design or color as the rest of the house. Install a layer of felt paper on top of the roof of the lean to shed. Make sure to take all sorts of safety precautions in order to ensure that you do not fall off the shed while you are installing it. Add the gable edge grip edge. Install it over the felt paper. 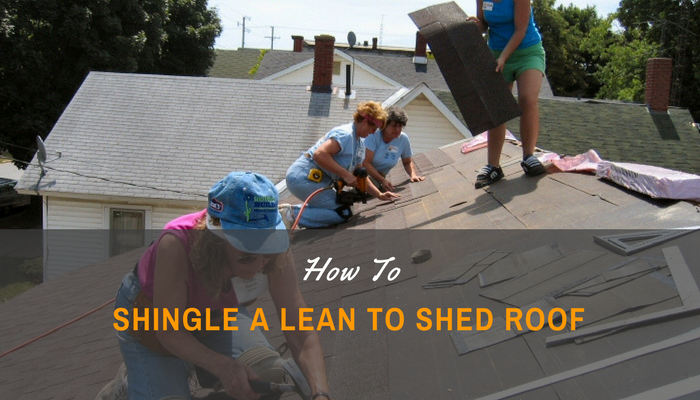 Carefully create a starter row at the edge of the lean to shed’s roof. Start from the edges and move towards the house. 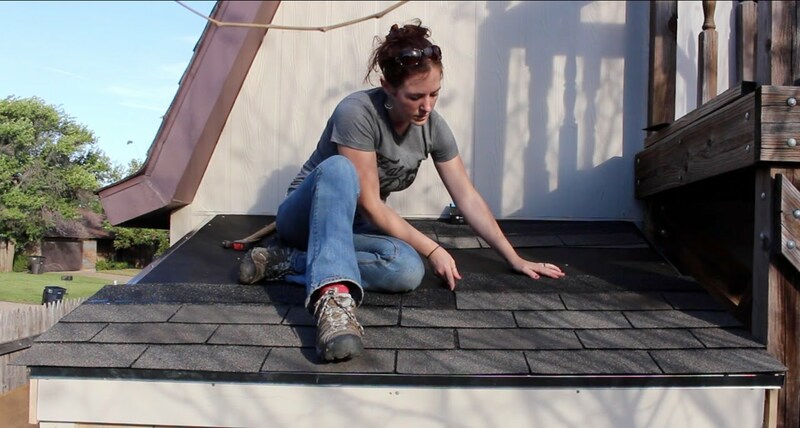 Arrange them in neat rows to ensure that water will not fall between the shingles that are not aligned. Alternate rows by staggering the joists between the shingles. These are done to prevent water from leaking and causing water damage. Space shingles so that at least 5 inches of the shingle is exposed. Put the galvanized nails in each shingle to secure them together. Continue putting on alternate shingles until you reach the wall of your house. Keep your rows straight. Let the shingles dry overnight or longer. This means you should not get it wet or too dry. If you are adding shingles to a two sided roof, make sure to buy ridge cap tabs to help keep water from coming in. If you are still worried about the roof leaking, you can test it by putting some water on top of the shed and going inside it to see if water just happens to be leaking. Lean on sheds are great additions to any home. They become an even better asset to your home when they are constructed to match the aesthetic of the main house. Adding shingles to the roof will also make your house look more expensive and enticing to good buyers.